The perfect tool for youth and beginners to train to perfect form and technique in order to move on to an Olympic bar. - Allows youth and beginners to train on form and technique before moving to an Olympic bar. - 51" usable bar length mimics Olympic bars to practice proper technique and form. - 10" sleeve length reduces weight and length. - Reduced 15 KG (33 LB) bar allows you to train up to a 20 KG (45 LB) bar. - Brass bushings provide a smooth consistent roll to your bar. 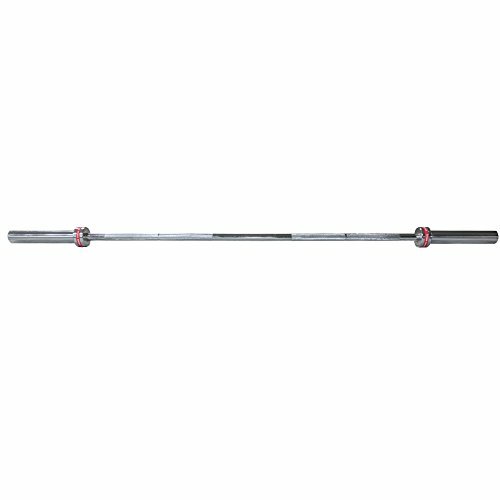 - Sleeve to sleeve length: 51"
- Loadable sleeve length: 10"
Allows youth and beginners to train on form and technique before moving to an Olympic bar. 51" usable bar length mimics Olympic bars to practice proper technique and form. 10" sleeve length reduces weight and length.